Beautifully clean. Wonderfully comfortable. A perfect stay. 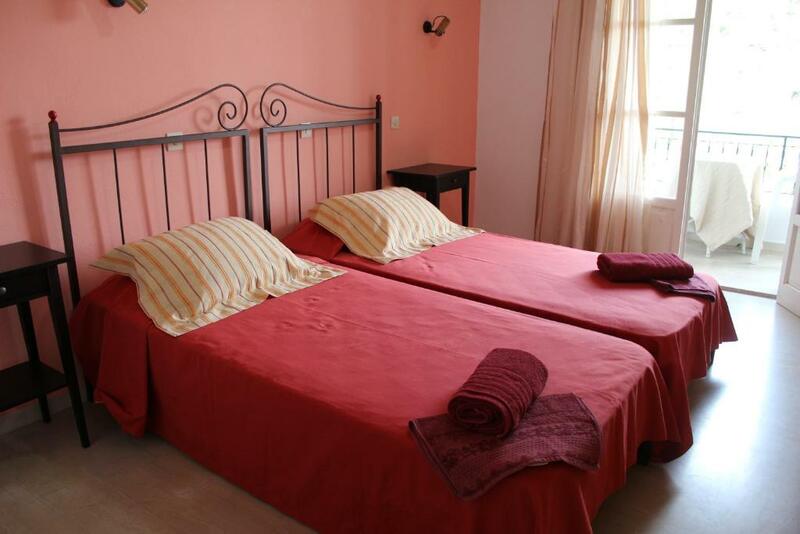 - Good price for this area - Hotel is situated in a very nice place. Beautiful beaches are nearby, there are many cafes and restaurants close to this place (personally, I recommend Spiros Grill with their big portions and super tasty food), supermarket is in 3 minutes of walking - There is a small kitchen in the room with facilities and dishes (but there aren't salt and pepper, sugar, oil for frying), you can cook something or make tea/coffee - There is an iron in the hotel. The owner proposed me a hairdryer - Clean, there are all toiletries. The cleaning was every 3 days. - Nice balcony - Corfu island is a wonderful place with amazing nature. Food is very tasty! Wonderful host and etc. - enjoying every day of the stay. Natasa is such a lovely person, I definitely recommend to stay at this place. Simple accommodation for a good price. We stayed in Natasa and Spiros for 2 weeks and it was the great place, probably the best vacation I have ever had. The apartment is located at the beginning of Paleo, near bus stop. There is amazing restaurant 'The Flower', the best what we visited. Also suggest to spend evenings in 'La Grotta' bar, it is near. The nearest beach is around 30-40 minuses to walk, I really suggest to rent a quad/scooter, you can ask Natasa for discounts, we rented quad for 7 days and discovered the island. With transport it is more easy to visit beaches, and location is perfect because you can go to North and South. Suggest to visit Sidari and Kassiopi. Amazing sandy beach - Pelekas Best view - Porto Timoni. Nice apartent, just like in the pictures It had everythig I needed for a stay of 4 days. The restaurant on the other side of the street was cosy and ha good food. The host and her father are very warm, friendly, helpful, and welcoming. 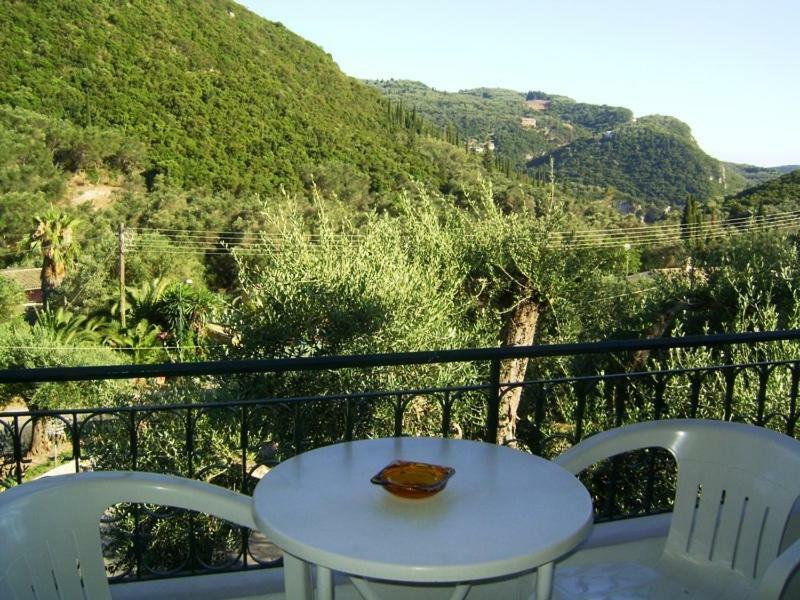 All of the attractions are close by- beautiful beaches, very good tavernas across the street. Easy to find and a great base to travel around the island. Me and my mum spent a wonderful week at Natasa and Spiros. The room was very nice with beautiful view and it was cleaned twice during our stay. 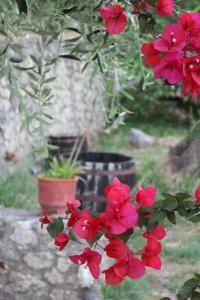 Natasa, our host was very caring and helped us to organize a cruise to Paxos. I strongly recommend this place! Natasa and Spiros were very helpful and accommodating and sorted all our requests in a heartful and efficient way. The place has a good logistic position and is easy to reach. It also has a little parking lot across the street. Not exclusive I believe but there was always a spot to park closed to the house. Supermarket and tavernas are in walking distance. 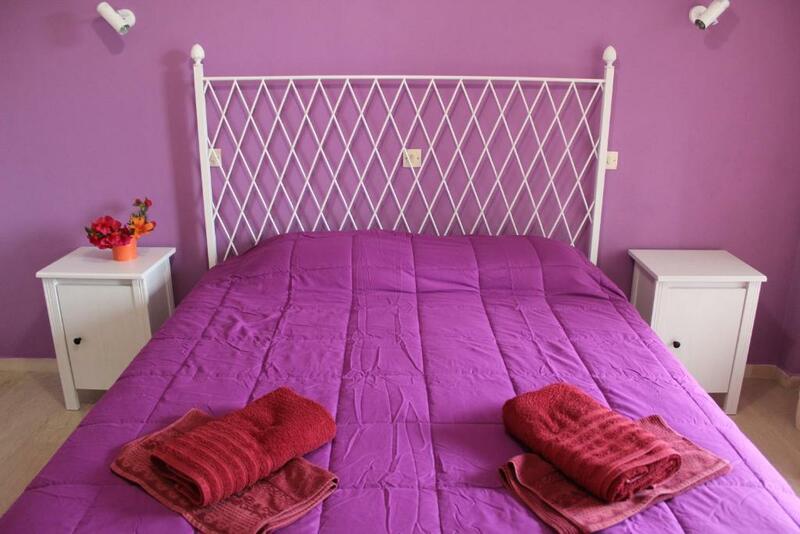 Lock in a great price for Natasa and Spiros – rated 8.3 by recent guests! 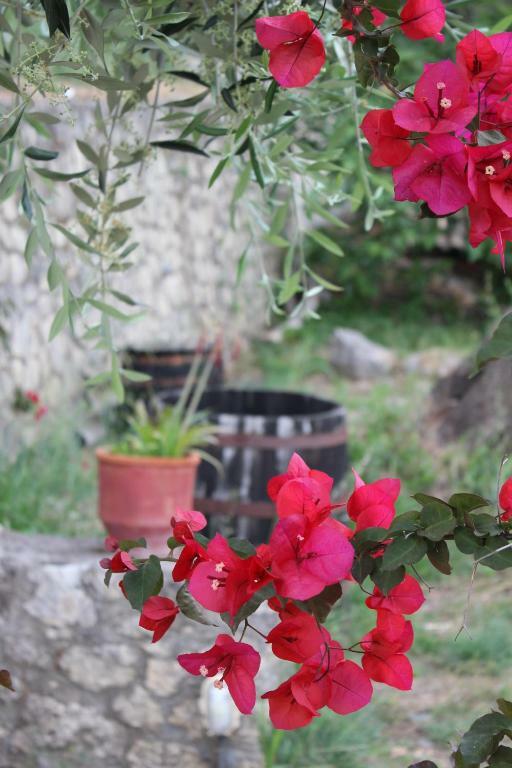 Natasa and Spiros is in an olive grove less than half a mile from the beach of Palaiokastritsa in Corfu. 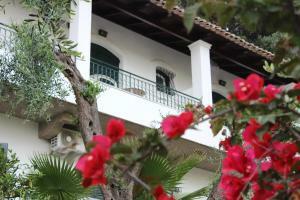 It offers studios with a furnished balcony overlooking the rich greenery. The air conditioned studios at the Spiros and Natasa are bright and airy. Each has a kitchenette with a microwave and fridge. All units include a private bathroom with shower. Guests are about 30 feet from traditional taverns and a grocery store. Corfu Port and the airport are 14 miles away. Aqualand Waterpark is 11 miles away. When would you like to stay at Natasa and Spiros? 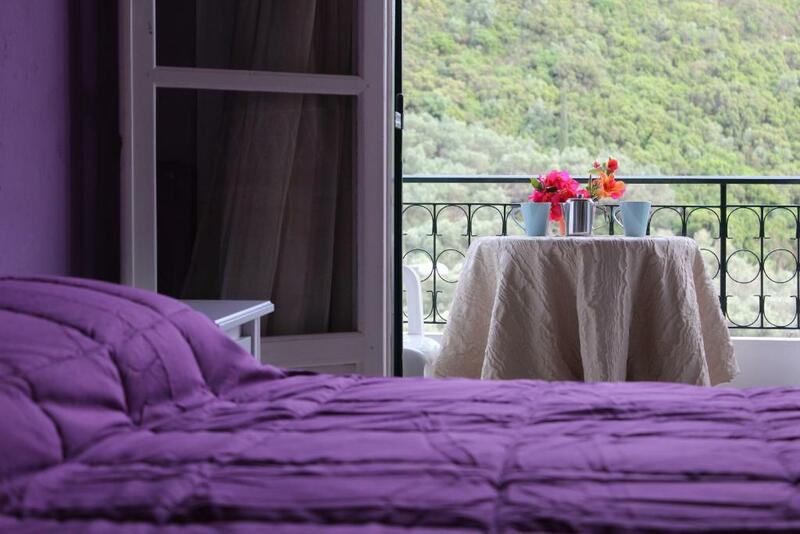 This air-conditioned studio opens to a furnished balcony overlooking the rich greenery. 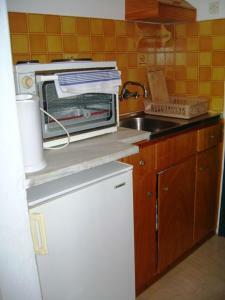 Bright and airy, it has a kitchenette with a microwave and fridge. House Rules Natasa and Spiros takes special requests – add in the next step! Natasa and Spiros accepts these cards and reserves the right to temporarily hold an amount prior to arrival. Please inform Natasa and Spiros of your expected arrival time in advance. You can use the Special Requests box when booking, or contact the property directly using the contact details in your confirmation. 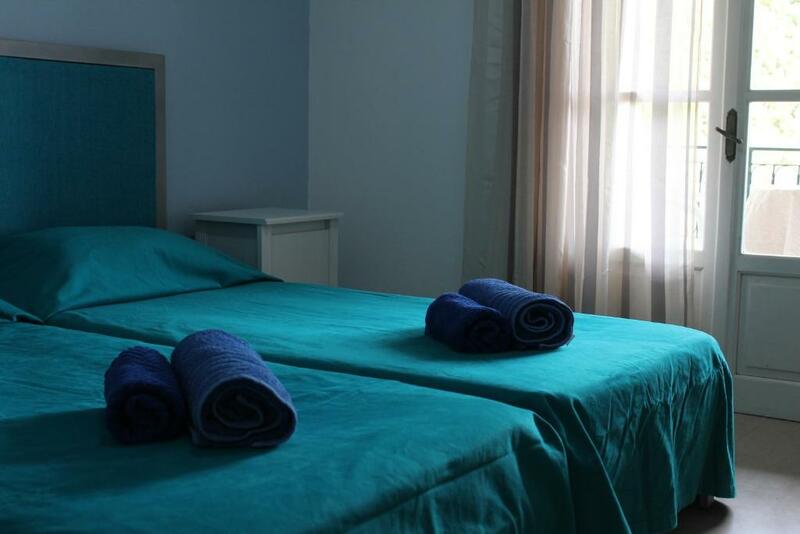 The rooms are tidy, nicely furnished and Natasha is a really friendly, helpful host. Without transport it is quite far from beaches, but it is ok since price is also lower than in other places. Air condition in our room barely worked. This is something common at almost all the Greek accommodations (almost a dozen) I have been to, and is that even in very cozy rooms the bathroom is not well maintained, equipment is old, and mostly there is no shower cabin or even a good curtain. The room is nice and cozy, provided with kitchenette and a terrace with table and clothes rack.